I bought this top on a recent shopping spree, (i seem to be having shopping sprees every week. Note to self - STOP!) 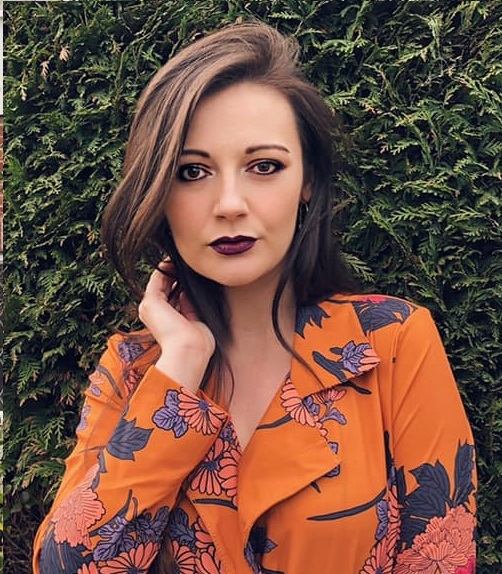 But anyways, i was really drawn to this top, the colours and patterns on it are just oh so eye-catching. The material is that scuba material that was all over the high street come the Summer, and apparently it's going to be around a bit throughout the Autumn. I thought wearing this top with a skirt of a different shade of purple would work quite nicely, so i've chosen my dark pink coloured one. What do you think of my choice? All my rings are brand new, unfortunately majority of the ones that i bought, even though i tried them on in the shop, seem to now be too big!? Weird right! 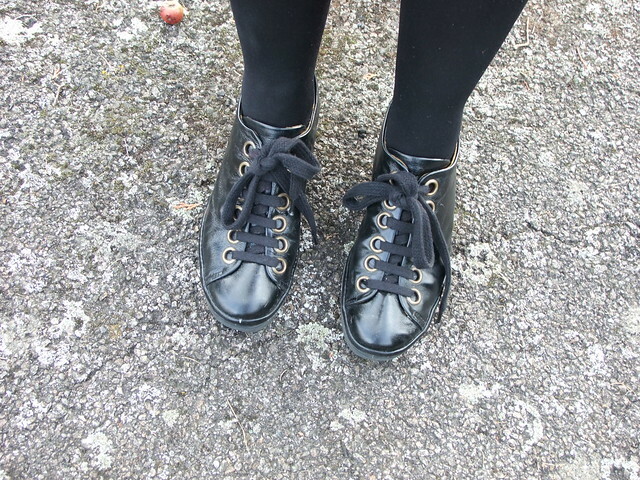 I always seem to be wearing cute girly shoes as opposed to shoes which might give my outfit a bit of an edge, so i opted for these wedged plimsolls, which i bought from a Charity Shop a while ago, at a bargain price! I really do think they give a bit of oomph to my typical girly outfit, may have to start wearing them more often. I'm going to start incorporating some more lifestyle posts into my blog. I think it needs a bit of a change, plus i have some quite interesting topics to talk about, especially about Mental Health illnesses. Anything you can think of that you'd be interested in me writing about, give me a shout! I think you should do a 'draw my life' video, like a lot of youtubers have done. The colour of your H+M skirt is GORGEOUS! I also love your lipstick as well as the subtle colours and artistic print on your Primark top.